Over the last few years, progressive jackpot slot machines have become the favorite machines of many regular casino gamblers, both hard and online. It must be said that the latter offer jackpots much larger than other types of slot machines. Nevertheless, few players know why. Here is an article that will explain everything you need to know about progressive jackpot slots. First and foremost, let's take a few minutes to consider the nature of progressive jackpot slots that are gradually replacing traditional slots that offer fixed and known jackpots in the playgrounds. The very principle of the progressive jackpot is that a proportion of players' bets are directly allocated to this jackpot, which increases as players spend money on slot machines. 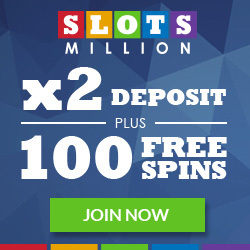 But that's not all since progressive jackpot slots are often networked with other casino penguins, or even most often with slot machines belonging to different gaming establishments as the progressive jackpot of Partouche casinos , the megapot. 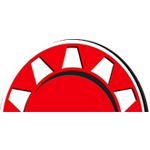 In the end, the progressive jackpot progresses at a high speed since it is dependent on the bets made by the players on a large number of machines. We understand then very quickly why progressive jackpots are much larger than the fixed jackpots. But on the other hand, these progressive jackpots are very expensive for hard casinos in particular, in case of winners and this has recently been the case with the "Magic Casino Jackpot" of the Barrière, Tranchant and Joa casinos which was stopped at the end of 2013 after having distributed more than 49 million € uros to winners. How to get the most chances to win a progressive jackpot? As you probably know, winning the big jackpot requires a certain amount of play. Indeed, you can not claim to win the progressive jackpot if you bet only small amounts. By doing so, you can at most try to win a jackpot, certainly attractive; but that will not look anything like the amount that the progressive jackpot of the machine you're playing on will indicate. This is the only "little flaw" for players that show progressive slot machines. Nevertheless, this slot machine variant has a huge advantage since it offers an unlimited jackpot since if no one drops the jackpot, it increases and can soar to the peaks . It is therefore possible to win a multi-figure win. Moreover, contrary to what many people think, progressive jackpot slot machines are "financially interesting" even when a jackpot has just been won. Indeed, often, the base jackpots already offer huge winnings for players and can be enough for the happiness of many casino players. Also, now that you know that progressive jackpot slots are the most interesting to play, you must be able to choose which is the most interesting machine within a slot machine park. For that, nothing more simple since it will be enough for you to make only one small division: jackpot to be won / basic amount of the machine. The higher this ratio, the more interesting the machine will be to play. That's it, you now know everything about progressive jackpot slots. You just have to go try your luck, like these winners, to win the jackpot!